The Mineral County Economic Development Authority is leading the charge to wire the entire county into a powerful network of local resources. In today's world people are using the Internet find what they are looking for. 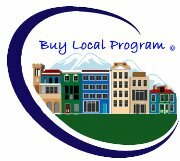 Mineral County Economic Development Authority is going to take the lead to be sure that every business and organization in Mineral County is optimized for our area search engine and beyond to help grow our economic base. MCEDA understands that many business owners are not technically ready for the next generation of commerce, but with our new Member Business Network the time is now to get started. Once you LOGIN you will be amazed at how easy this process is. If it isn't as easy as we think it is call and we will help you or call Chamber Nation. Membership has it's perks, if you are a paid business partner, we will help build your website, check out our membership categories. We're Here to Help You, Train You and Promote You! MCEDA has arranged 100% FREE USA BASED SUPPORT from the team at Free Members Support. In addition our local training center here in Hawthorne will be providing local setup services and classes for all participating businesses and organizations. All of you know how important it is to be in the Phone Book, but today its just as important to be easily found on search engines and this our various county and economic development websites. Get started and you'll wonder why you waited so long. "1000 " display advertisements for your business. We will be creating possibly the first "County Wide" commerce solution ever in the country. This is all possible because the MCEDA offers online and in house training classes for you, as well as one on one business counseling should you need it. A project of the Mineral County Economic Development Authority. Commitment to economic vitality for all member businesses in our community, county and state Funded in part by the Governor's Office of Economic Development and USDA.